Each year, trophy hunters in British Columbia kill hundreds of grizzly bears for their heads, paws and hides. Those that support this slaughter claim it’s necessary to maintain balance in nature and provide economic advantages, yet conservationists and activists say otherwise. Presented by Lush Cosmetics, Trophy challenges this controversial “sport” that exists across North America and asks: can we truly justify killing these animals for entertainment? Download and share Trophy for free at www.trophyfilm.com and sign the petition at www.trophyfilm.com/take-action to speak up for grizzlies. Lush Cosmetics makes fresh, handmade cosmetics including bath bombs, bubble bars, dry shampoo, shower gels, shower smoothies, luxury bath oils and more for all your bath, haircare and skincare needs. We’re also proud to support charities who work tirelessly to make the world a better place for people, animals and the environment through our Charity Pot program. Learn more about the organizations we work with at www.lushusa.com/charitypot. Two bears, a brother and sister, had “island hopped” to Alert Bay from the mainland. SBRF’s Christina Service explains this behavior in the context of grizzly bears moving to islands up and down British Columbia’s coast and discusses possible reasons for the new phenomena. This issue of Scholastic shares our research in a way that children will understand. 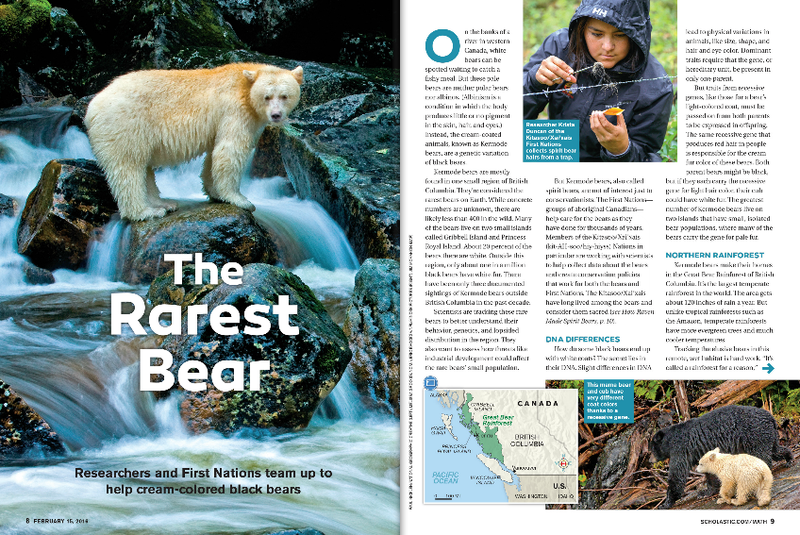 We are thrilled that so many kids are going to learn about the Great Bear Rainforest, DNA and recessive genes, the cultural importance of bears to the Kitasoo/Xai’xais, and the importance of protecting habitat for wildlife. There are even Punnet squares! SEAS (Supporting Emerging Aboriginal Stewards) Community Initiative from Zack Embree on Vimeo. 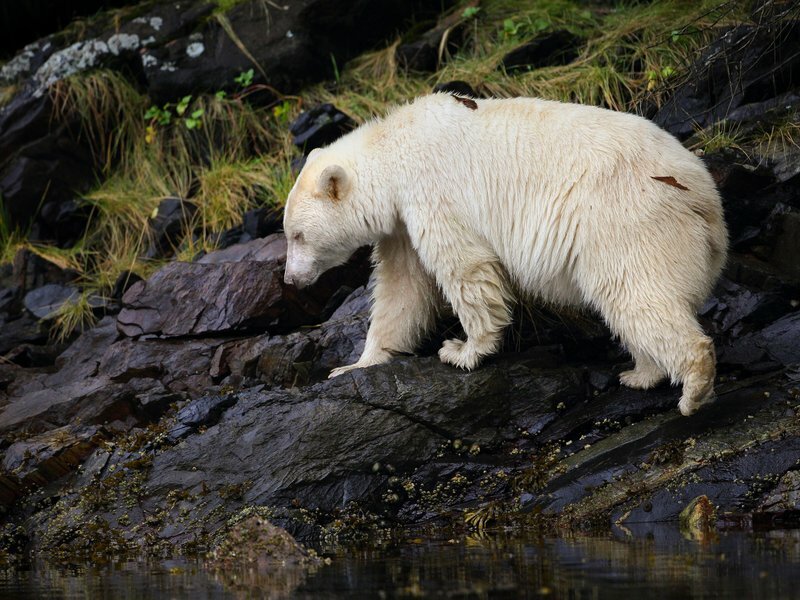 Spirit Bear Research Foundation is proud to work with the Klemtu SEAS program. Watch this video to learn more about SEAS and SBRF’s involvement. 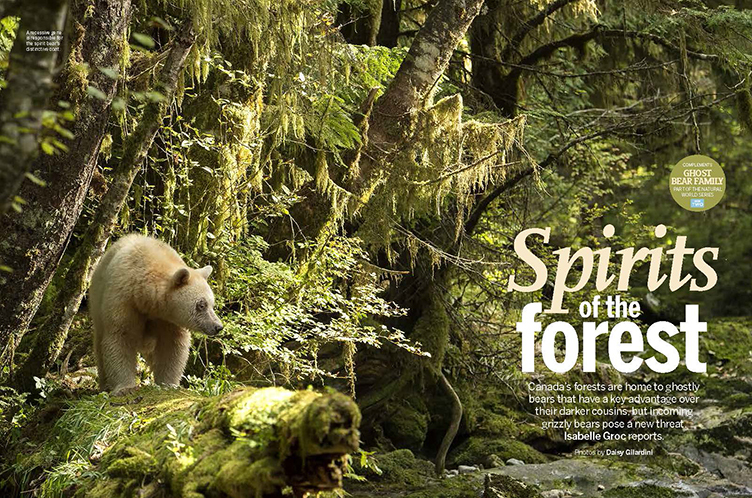 Canada’s forests are home to ghostly bears that have a key advantage over their darker cousins, but incoming grizzly bears pose a new threat. The ‘Grizzly Invasion’ section of this feature article by BBC Wildlife showcases our research on grizzly bear movement to islands. 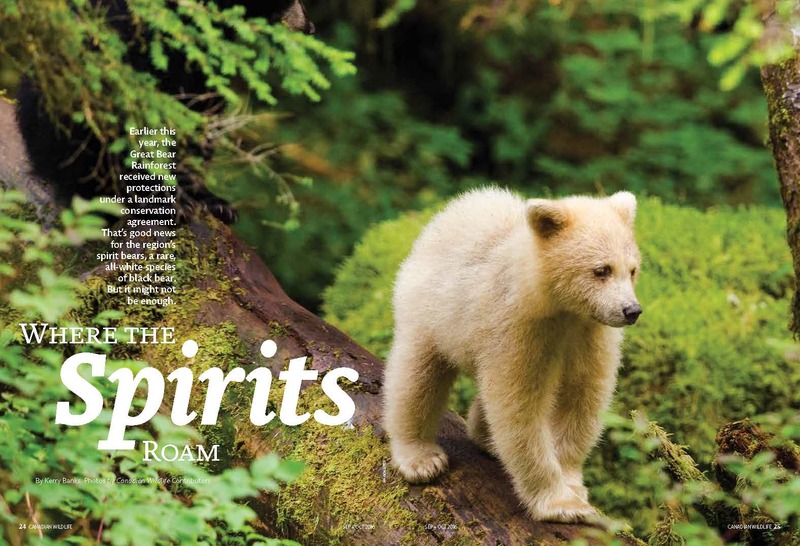 This in depth article published in Smithsonian Magazine that features Spirit Bear Research Foundation’s research program and directors, Douglas Neasloss and Kriss Duncan. SBRF Director, Christina Service, speaks on behalf of this wandering grizzly bear @ 6 min 10 seconds. Christina reminds us that bears are intelligent animals and “as long as we respect their space, they tend to respect our as well”. This documentary explores how 18 First Nations and the Province of British Columbia (Marine Planning Partnership) have crafted marine plans for the Great Bear Sea to protect marine ecosystems and build sustainable coastal economies. 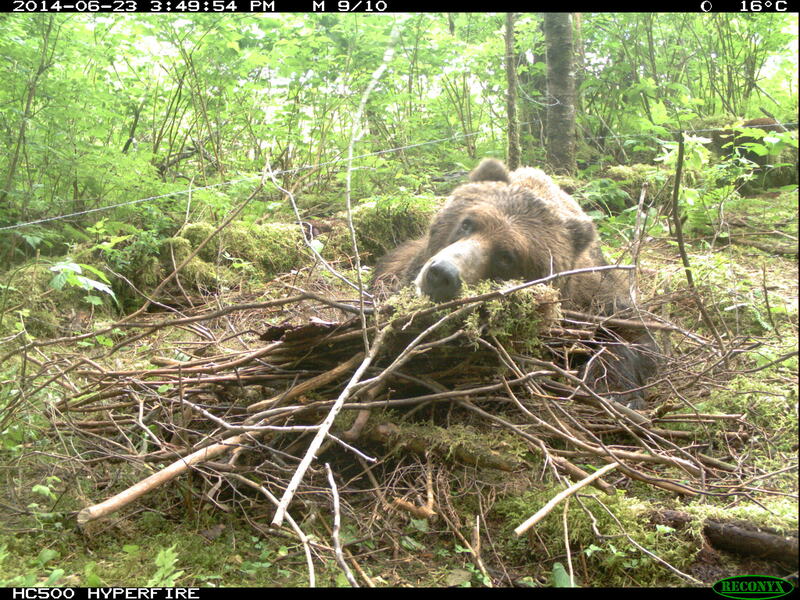 In the Great Bear Rainforest – on the central and north coast of British Columbia — 36 remote cameras have been rolling for two years now – capturing bears — as you’ve never seen them before. And what it’s telling us about how these animals migrate, and why could have far reaching implications. For more info, please go to www.global16x9.com. Grizzly bears expanding their range on B.C. coast: new study. Grizzly bears expanding their range to central coast islands. 10:00am, starts @ 8min. 25sec. Canadian grizzly bears face expanded hunt. Grizzly outlook for hunted bears in Canada. ‘Brutish’ Columbia’s gruesome trophy bear hunt puts us on display. Grizzly bears overhunted in B.C. ?